Cape Cod, Massachusetts, lies on the Atlantic Ocean and is known for its beaches, historic sites and water activities. Water recreational activities range from swimming and sailing to snorkeling, kayaking and whale watching. The city also has opportunities for golfing, fishing, shopping and sightseeing. The Cape offers couples a chance to create a romantic getaway with opportunities from fine dining at restaurants offering fresh seafood to hiking hidden trails and snuggling in a beach-side hotel. Couples can snuggle on the beach on a romantic weekend getaway. The Bayside Resort has a two-night Sweetheart Package that includes a standard double room and dinner. Special in-room gifts include roses, champagne, chocolates and a love note from the person who booked the room. Dinner for two is provided at the Yarmouth House Restaurant, but alcoholic beverages, taxes and gratuity are not included. Room amenities include a free WiFi, coffee maker, toiletries, cable TV and refrigerator. Hotel amenities include an on-site bar, pools, fitness center, volleyball and private beach. Rooms can be upgraded to a king-size bed or a jacuzzi suite. 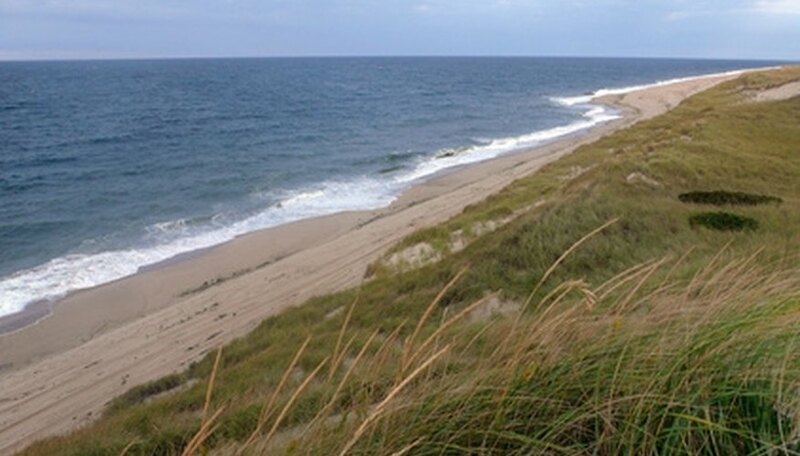 The Carriage House Inn is a bed and breakfast located one mile from Chatham Light Beach, and it offers several romantic weekend getaway packages. The Ultimate Couples Winter Warmth Getaway includes a two-night stay, breakfast and snacks, couples' massages and free DVD movies. The Anytime in Paris package includes a French manicure and pedicure for the lady and a massage for the man, French breakfast, a bottle of aromatherapy spray and a two-night stay. Hotel amenities include spa packages, including couples' massages, hammocks, DVD players, guest computer, free WiFi and an in-room coffee/tea tray. Guest rooms include private baths, toiletries, board games, books, beach chairs and a guest refrigerator. Harbor House offers couples two different romantic getaway packages. The Ultimate Cape Cod Getaway includes a two-night stay, in-room hot tub, Nantucket lunch, dinner train ride, couples' massages, in-room champagne, chocolate, roses, a tour of Cape Cod and a framed portrait. The Romantic Escape includes a two-night stay in the king mini-suite, two breakfasts and a dinner, a dinner train ride, couples' massages and in-room champagne, roses and chocolates. Guest rooms run from standard full-size beds to the queen mini-suites with two queen beds, the king mini-suite and the Harbor Suite, with two private bedrooms. Hotel amenities include continental breakfast and views of Hyannis Harbor. Faucheux, Misty. "Romantic Weekend Getaways in the Cape." Dating Tips - Match.com, https://datingtips.match.com/romantic-weekend-getaways-cape-6472089.html. Accessed 18 April 2019.